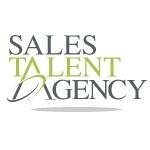 Sales Talent Agency is a leading sales recruitment company in Vancouver. Approximately 32% of all Canadian sales people are in Sales Talent Agency’s resume database, and it is growing by 2,000 each month. The Toronto sales recruitment company actively recruits for more than 270 companies. No sales recruitment company in Canada places more professional sales people each year than Sales Talent Agency. Products Carried: As Canada’s leading sales recruitment company, Sales Talent Agency places more professional sales people each year than any other sales recruitment company. Located in Vancouver, Sales Talent Agency has interviewed and profiled more than 29,000 Canadian sales professionals since launching in 2007. Sales Talent Agency presents more than 310 candidates to their clients every month and actively recruit for more than 270 companies.